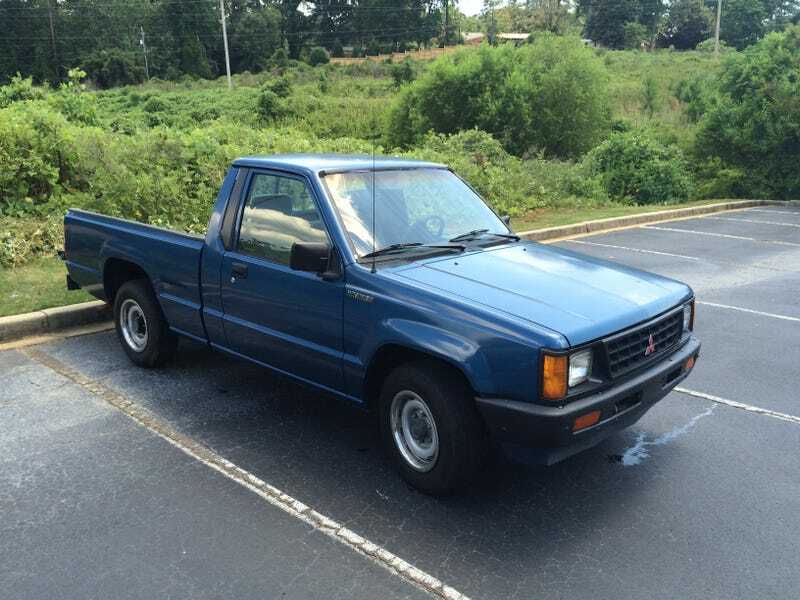 For sale is my 1990 Mitsubishi Mighty Max pickup truck. It is currently in Columbia, South Carolina. I bought this truck last year as a project and gave it a little TLC while learning a ton. Today, it is an excellent and mostly original example of this hard to find model. I have done the following work to the truck in the last year. This truck is powered by Mitsubishis’s 4G64 2.4 liter inline four-cylinder engine. The truck has a five speed manual transmission sending power to the rear wheels. The engine was serviced a couple weeks ago and besides an oil change it was good to go! The body work on this truck is all straight and paint is relatively new. There is a significant spot where the paint is peeling away on the hood, probably due to poor prep of that panel prior to paint. However this problem is ONLY on the hood. The rest of the truck looks great. The truck has a drop in plastic bedliner and a bumper mounted towing hitch. There is also a 12 volt DC outlet in the bed for Running a power inverter or other electrical equipment. and fading from 25 years of sun exposure but it is all there. The truck has an aftermarket radio with only one speaker currently hooked up on the drivers side but it works. Wheels and tires are good with plenty of tread all around. Probably could use an alignment. Clear SC Title. No plates. I really need $2000 out of it. I’m moving in a couple weeks and this guy can’t come with me. Any interested Opponauts?